WHY GO: Ulster County NY, which encompasses many towns including High Falls, New Paltz, Hurley, Kingston, Woodstock, Phoenicia and more, extends from the Hudson River to the foothills of the Catskill Mountains and is roughly the size of Rhode Island. How can you access all this rustic splendor, French history, architectural and engineering innovations, fantastic food and awesome lodging all in one getaway? 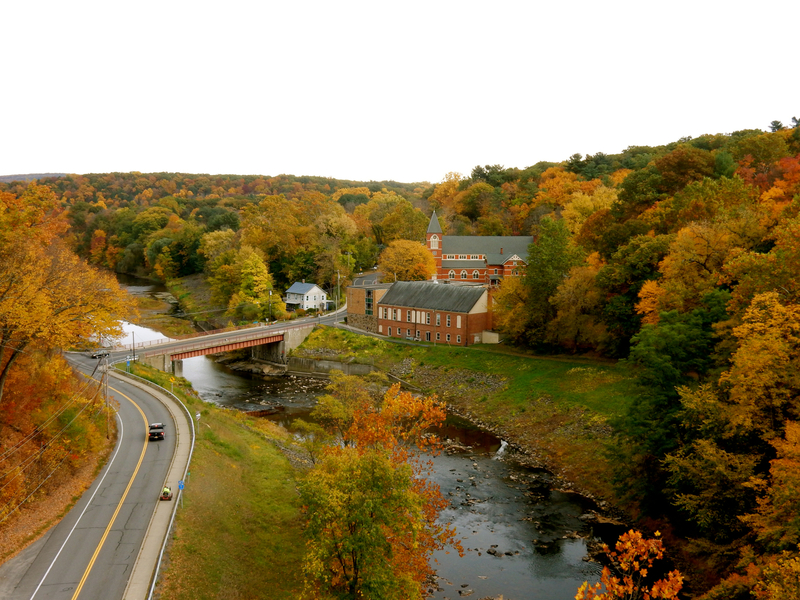 You can’t – so we’ve divided it up into two sections: High Falls/New Paltz and Kingston. 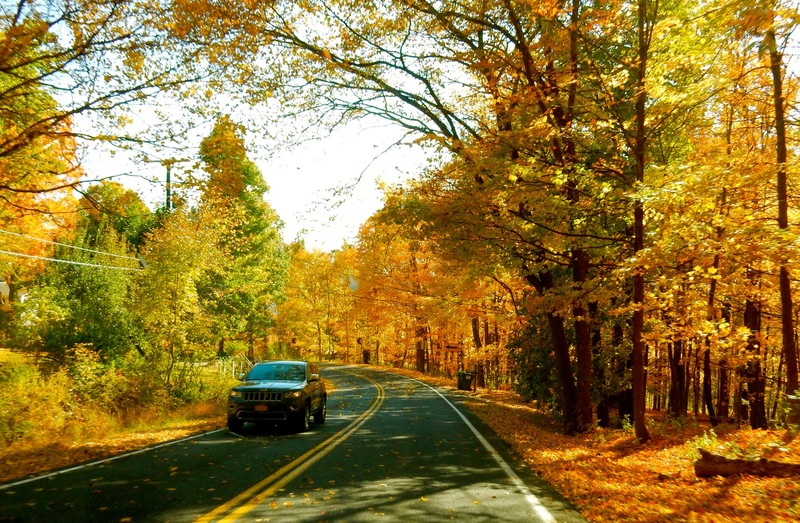 As per usual, we submit the best things to do, see and experience in these quaint Hudson River Valley hamlets. Read on. 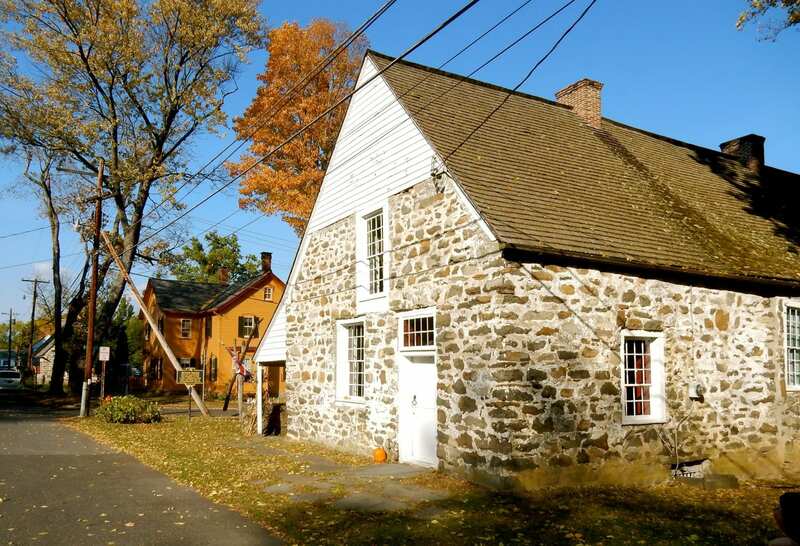 TOUR: Historic Huguenot Street, New Paltz. Even before it was a country, the New World was safe haven to those facing religious persecution abroad. This short street lined with beautiful stone buildings, the oldest continuously occupied street in New York, is a reminder of those accepting, tolerant times, and is worth an immersive 90 minute tour. Begin at the 1705 DuBoise Fort Visitor’s Center, where you’ll watch a short video to learn about the Protestant French Huguenots who fled the restrictions and violence of Catholic King Louis XIII in the early 1600’s, first settling in German lands and then in the New World in 1678. Exchanging blankets, needles and tobacco pipes with the local Native Americans for 40,000 acres of land, twelve original founders, called “Patentees” built homes here, and, astoundingly, several of these structures are left standing in various states of restoration. 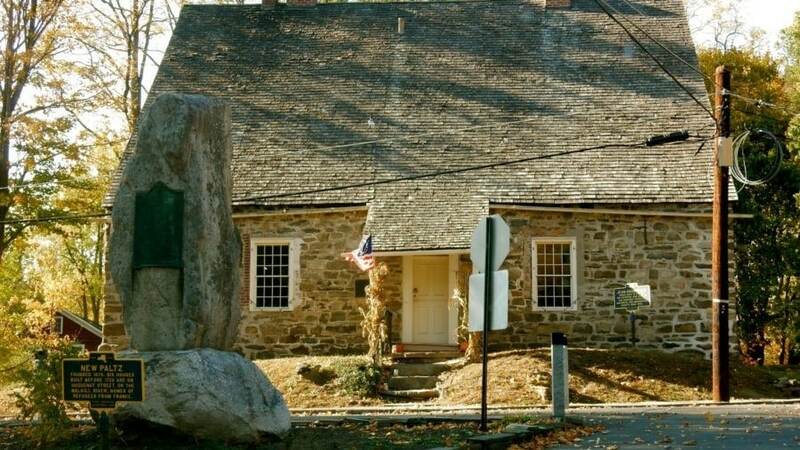 Four of the 7 stone buildings are open for tours, beginning with the Bevier-Elting House, the oldest built in 1698, kept in its most basic state inside. Other than an exhibit case filled with artifacts found on site – projectile points, pipe stems, shards of ceramic plates – there are no furnishings. The Beviers owned slaves who slept in the root cellar, and a peek down there gives visitors an idea of the dismal conditions in which they lived. 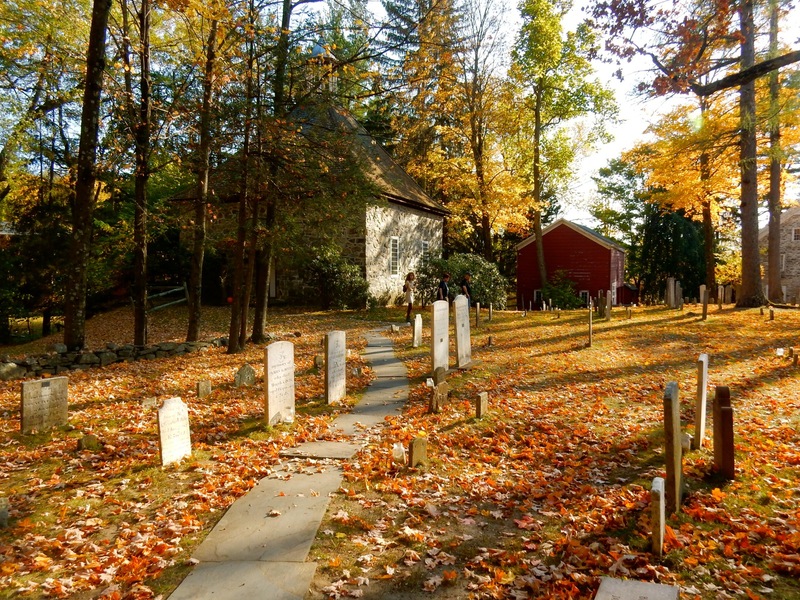 Next, walk through the cemetery to enter the 1972 reconstruction of the 1717 church that stood on this site. The burial ground dates to 1683, and at least one of the original patentees, a DeBois, is buried here. 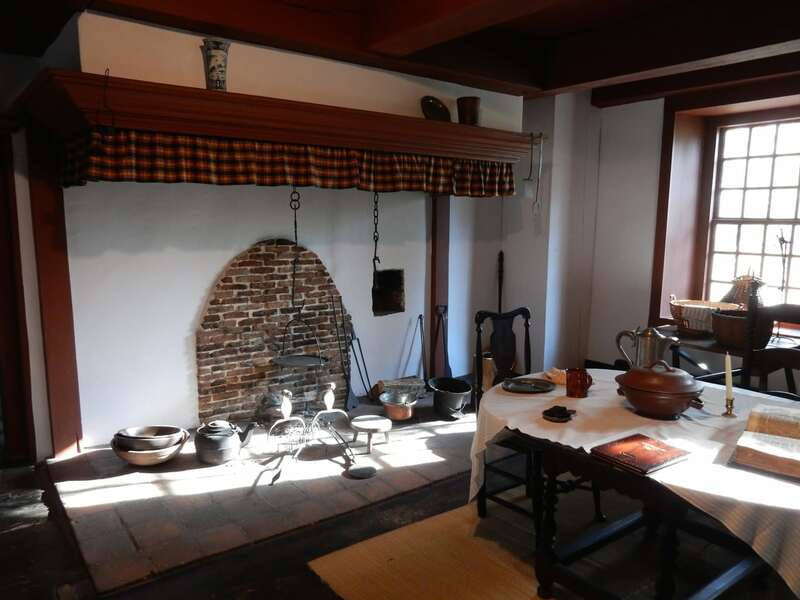 By 1712, the Huguenots had become wealthy, as evidenced by the Jean Hasbrouck Home. Jean’s son, Jacob Sr. was at the time the richest man in New Paltz, able to furnish this two-story home with fine accoutrements. Inside, you’ll see one of the oldest surviving “jambless” open fireplace in existence, a Bible written in “common language” as Protestants did not believe that the righteous required a middle-man to commune with God, and upstairs, in addition to the massive bricked chimney flue, a whole exhibit on the making of linen from flax – a grain that was bountiful here. Jacob’s youngest, Josiah, fought in the American Revolution, and went on to be a Supervisor in New Paltz and the first descendent of a Patentee to serve in Congress (he signed the bill to purchase the Louisiana Territory from France for $15 million in 1803). The last house on the tour is like no other. 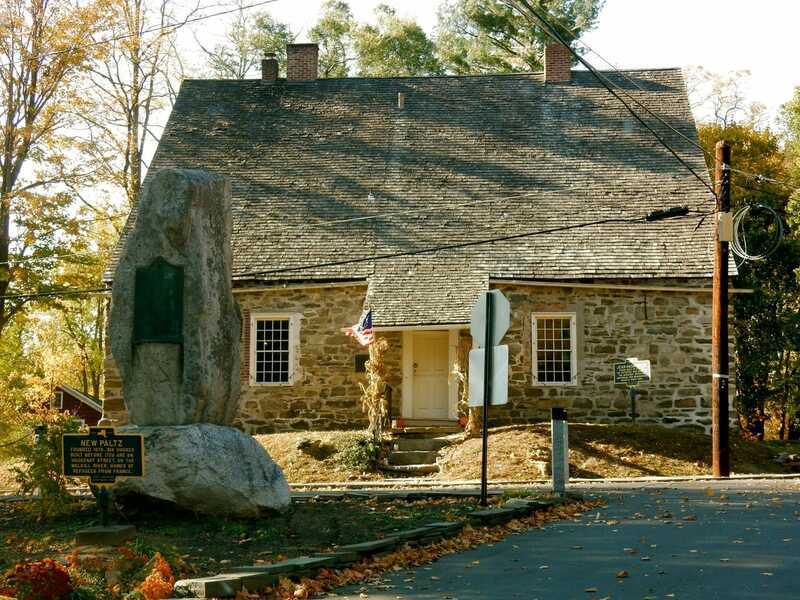 Originally a 2 room stone home built in the early 1700’s, it fell into the hands of Abraham and Gertrude Dayo-Brodhead through inheritance in 1894. Abe, who made his fortune building and running racetracks, expanded the home to the Victorian mansion it is today, much to the consternation of other Stone Home owners on the block. 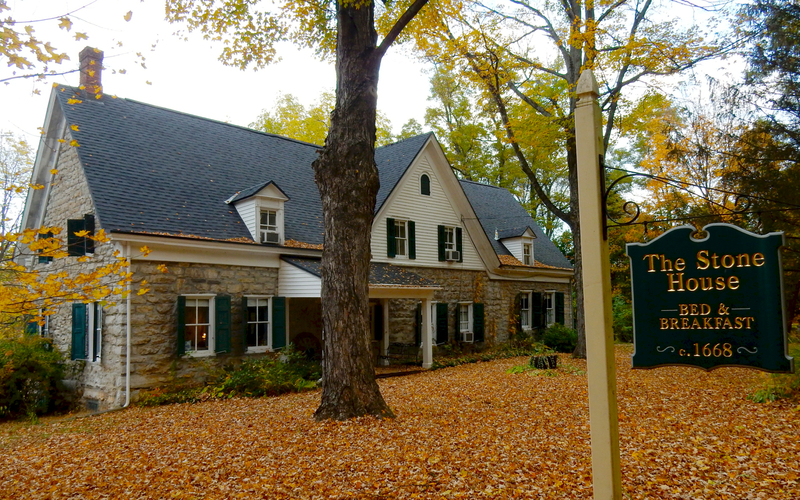 To make amends, The Dayo-Brodheads established the society that has since morphed into Historic Huguenot Street at a time in the late 1800’s when Americans sought to preserve “everything at once.” Colonial Revival, Neo-Classical and other styles together formed a hodgepodge, in the turn-of-last-century attempt to portray a romanticized past. 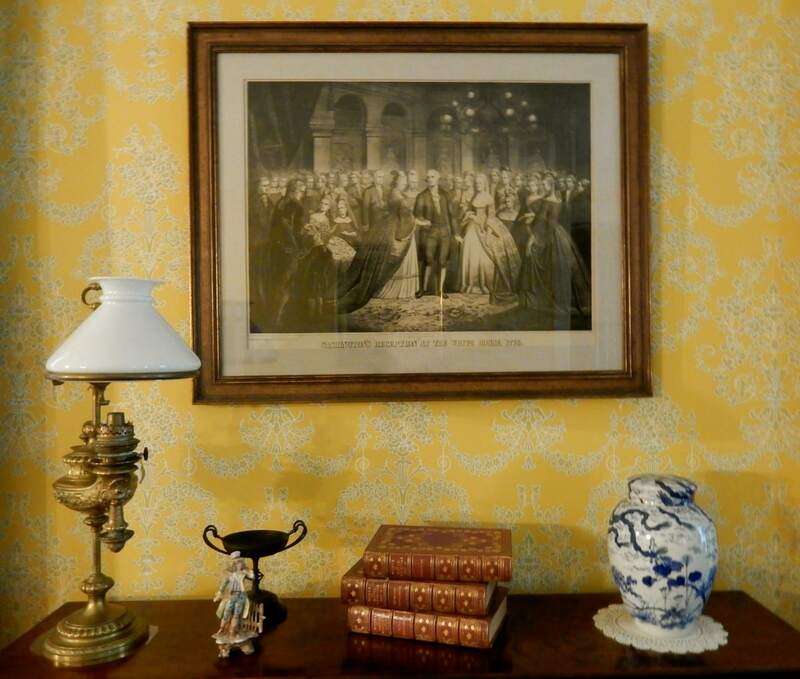 This extended to the artwork that hangs in the parlor: one, a print of George Washington Inaugural Reception at the White House, depicting an event that could not have taken place in a Versailles-esque White House that hadn’t been built yet. In 1908, when gambling venues were outlawed, Abe lost everything. Though all original pieces to the house were sold off, each room in the house is represented as a different era, beginning with the Empire Period, and ending with a 1950’s kitchen. Tours of Historic Huguenot Street from end of May-Oct Sat-Sun 10:30-4:30, June – Oct Thurs-Mon. 10:30-4:30. VISIT: The Samuel Dorsky Museum of Art at State University of New York New Paltz. Much of an artist’s rise to fame has to do with timing – mostly by being on the edge of a movement. But there are many others who should be lauded, and that’s where the Dorsky comes in – by focusing on lesser-known artists or those who have fallen out of favor. Second in size only to the Neuberger Museum at SUNY Purchase (within the SUNY system), the Samuel Dorsky is 9,000 sq. ft. of relatively new space (it was formerly the College Art Gallery). 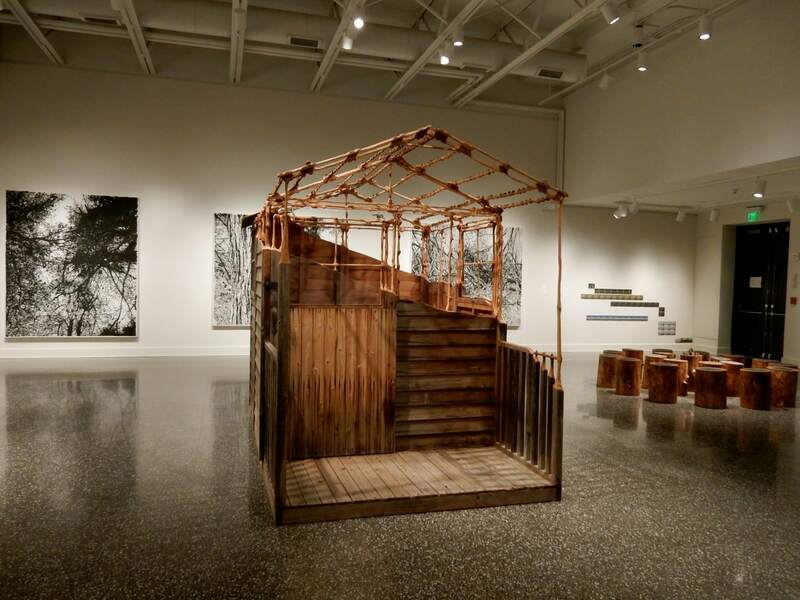 With a mission to serve both the college campus and the artistic culture of the Hudson River Valley – the “Cradle of American Art” – the Dorsky is unlike any other regional museum. Divided into two parts, the 6,000 sq ft. main gallery highlights rotating items from the permanent collection, including a large number of photographs from Howard Greenberg. One of the foremost photography dealers in the world, Greenberg was an early Dorsky supporter who founded the Center for Photography in Woodstock NY. A separate 3,000 sq ft space is devoted to innovative Hudson Valley artist themed shows. Open Wed-Sun 11-5, Suggested donation $5. VISIT: D&H Canal Museum, High Falls. From 1828-1898, over 800 coal barges plied the 108 mile canal that linked the Delaware River in Honesdale PA to the Hudson River in Kingston NY. This small but engaging museum provides an overview of High Falls’ little known history as a D&H Canal town. Until the War of 1812, it was cheaper to buy coal from England than from the impossible to access middle of Pennsylvania: roads were muddy messes and often impassible. But the War brought an end to trade with Great Britain, throwing the United States into a severe energy crisis. In the late 1700’s, hard-as-nails anthracite coal was discovered beneath the Pennsylvania ground. 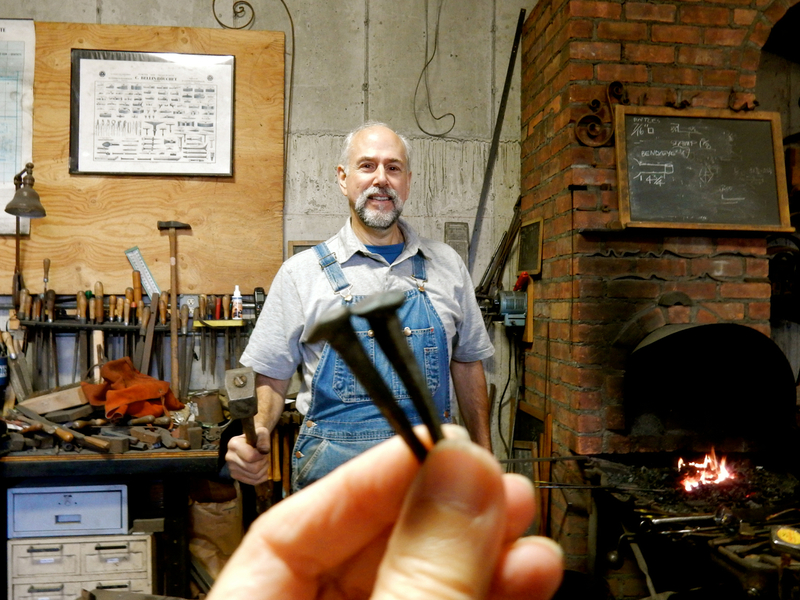 A favorite of blacksmiths but otherwise not well understood, it took coalmine owners, the Wurts Brothers of Philadelphia, to prove that this newfangled fuel could burn long, clean, and hot. 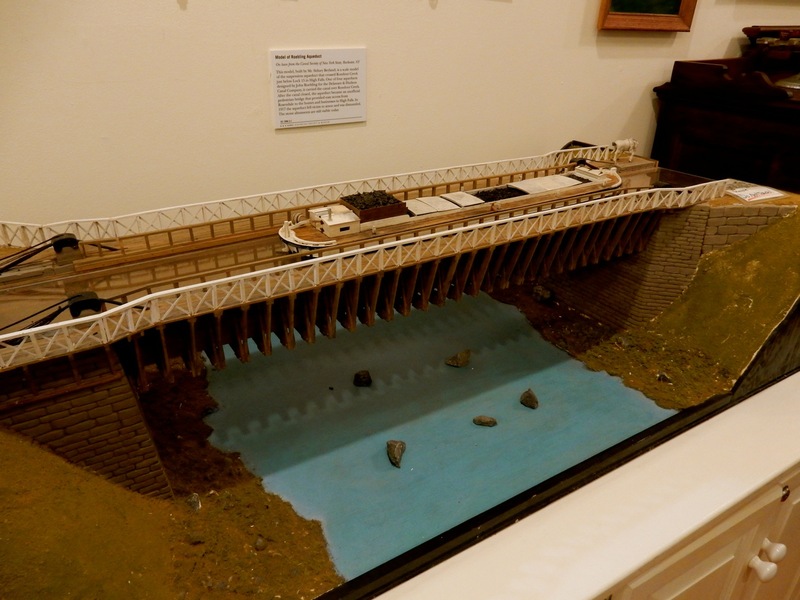 Once demand for anthracite increased, the entrepreneurs needed to find a way to transport it to New York, and thus the Delaware & Hudson Canal was conceived. 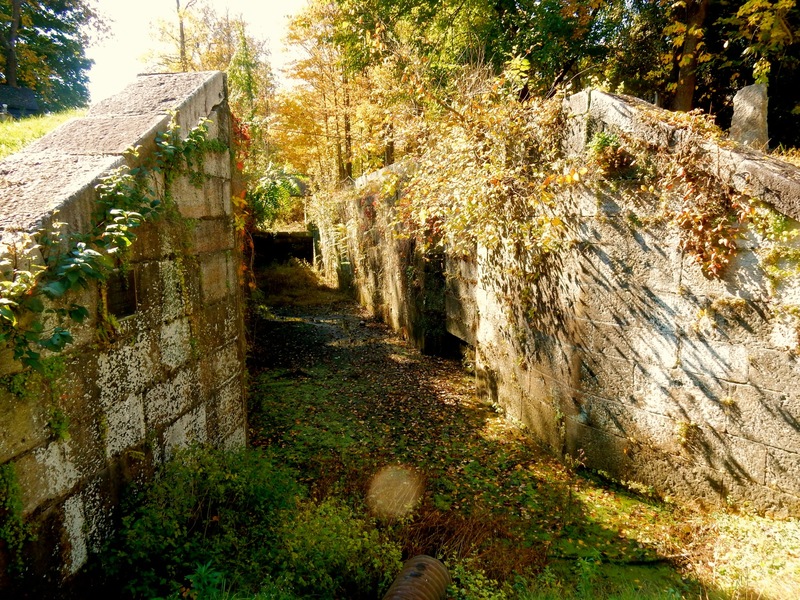 As this was prior to the development of dynamite, it took over two million dollars, 10,000 workers, and many lives lost to blast (with black powder) through the wilderness in order to create 108 locks on the 108 miles of the 30 ft wide canal. Bridge designer, John Roebling, was hired to build canal aqueducts over rivers – engineering marvels of the day. 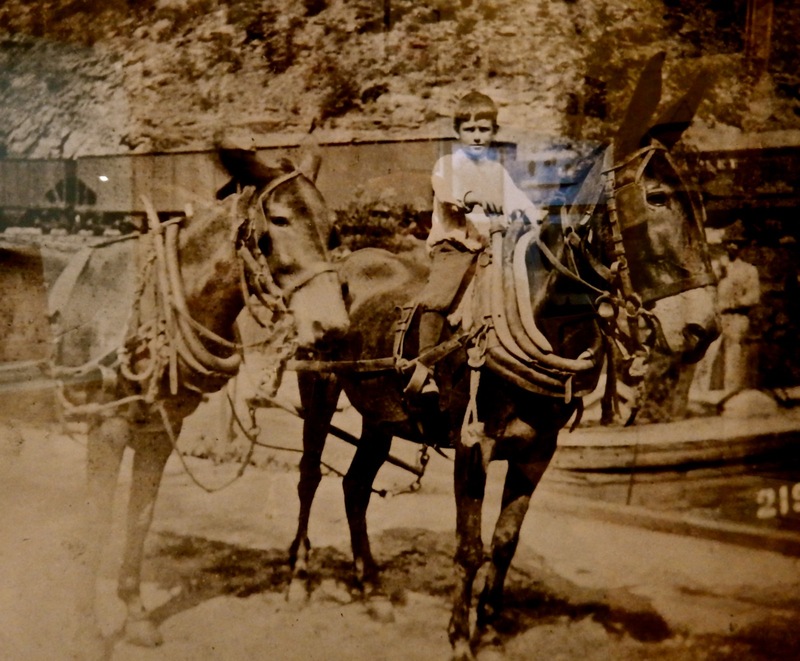 Life on the canal was often a family affair, with young children – many of them orphans – driving the mules that pulled the barges. In its heyday, the canal saw nearly a thousand boats, hauling everything from cordwood, gypsum, bluestone (to pave the sidewalks of New York City), glass and shoes. Little towns along the way bustled with business, until the canal was replaced by the railroad. 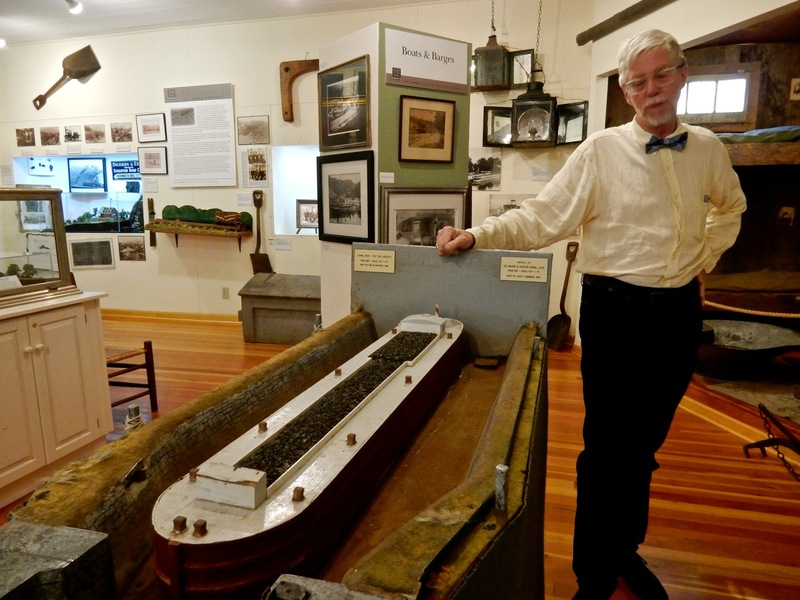 The museum tells the story of the D&H Canal through artifacts and photos, brought to life by historian Bill Merchant, who also leads occasional tours on the usually self-guided half mile “Five Lock Walk” down the street. Though water no longer flows, you can see remnants of lock walls and just imagine barges, laden with heaps of coal, waiting their turn to go through. Open May-Oct Sat, Sun 11-5, $5 adults, $3 kids. VISIT: Canal Forge, High Falls. **Update on 4-27-17: Though Jonathan was not hurt, his business barn and home were destroyed in a fire on 4-24-17. Right now, he is taking stock and moving forward, but do not expect show up and see what was showcased in the following write-up. The Getaway Mavens hope for a quick rebuilding, and peace of mind for Jonathan. 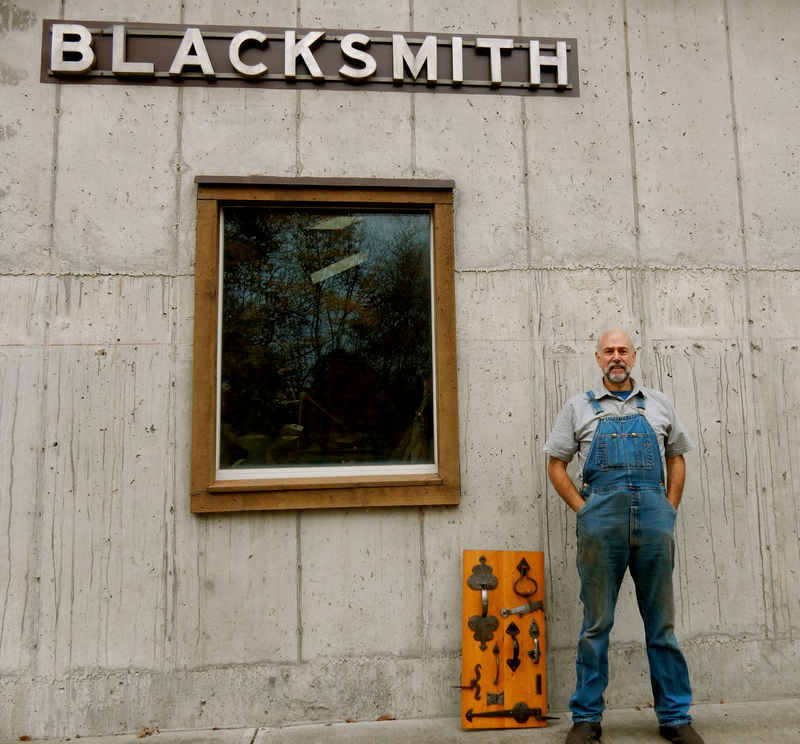 Since 1981, historian-artisan-iron-forger, Jonathan Nedbor has been replicating Dutch door hinges, architectural elements for authentically preserved buildings, furniture, and fireplace implements through the forging, or as he says, “shmooshing,” of iron pieces. Though the address says “High Falls,” this operating blacksmith shop is a few miles up on the former canal in Alligerville, not even a spot on the map. But Canal Forge is so retro and engaging, it’s worth traveling backroads to find. Because this area was settled by the Dutch, Nedbor works with iron in the Dutch style, which is “much more robust than English ironwork”. Heating up the coals, Nedbor clangs at his anvil while he talks to visitors. His commissioned pieces show up in private historic and contemporary homes, and in State Historic Sites like the John Jay Homestead in Katonah NY. Open Mon-Fri 9-5 or by chance on weekends. WALK: Wallkill Valley Rail Trail Over Rosendale Trestle. 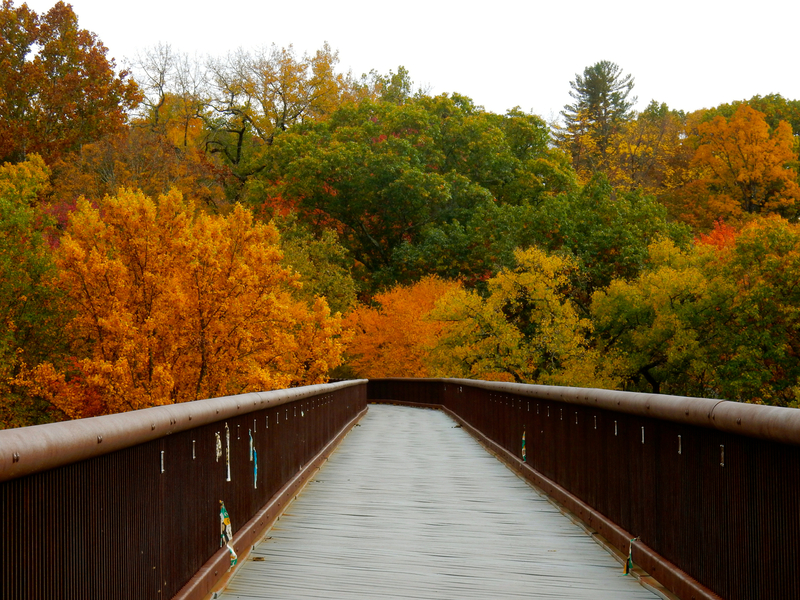 Like the Walkway over the Hudson, this former railroad bridge grants walkers, hikers and bicyclists spectacular views of mountains, valley and the Esopus Creek – especially beguiling in Autumn with the leaves ablaze. 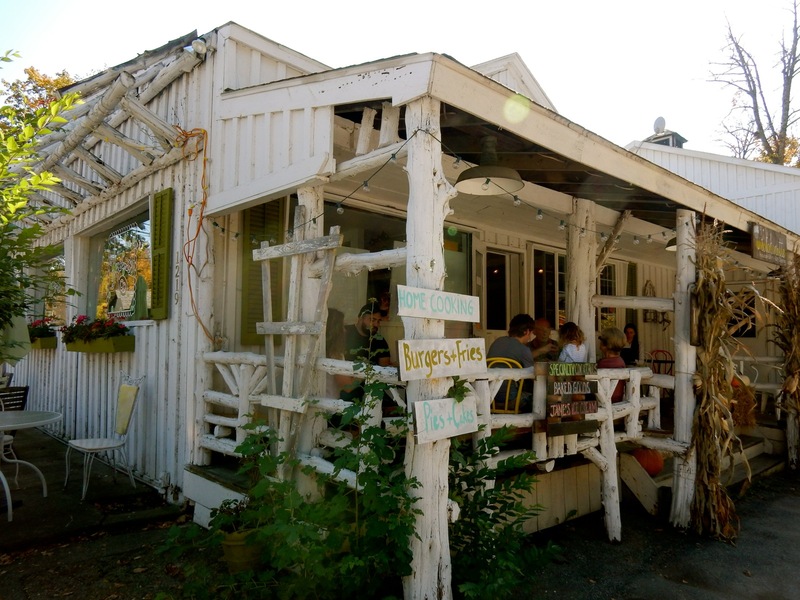 EAT/DRINK: Garvan’s, New Paltz. The stone building now housing Garvan’s Gastropub was built in 1759, the year that Guinness started brewing beer in Ireland. So, it’s fitting that Garvan McCloskey’s friendly bar features a Guinness Draft Tower brought from Dublin by a team of experts who demonstrated how to pour the “proper pint.” Opened in Feb. 2016, this lovely, friendly place is as close as you’ll get to the Emerald Isle in Ulster County, with Guinness Brown Bread served at every meal. 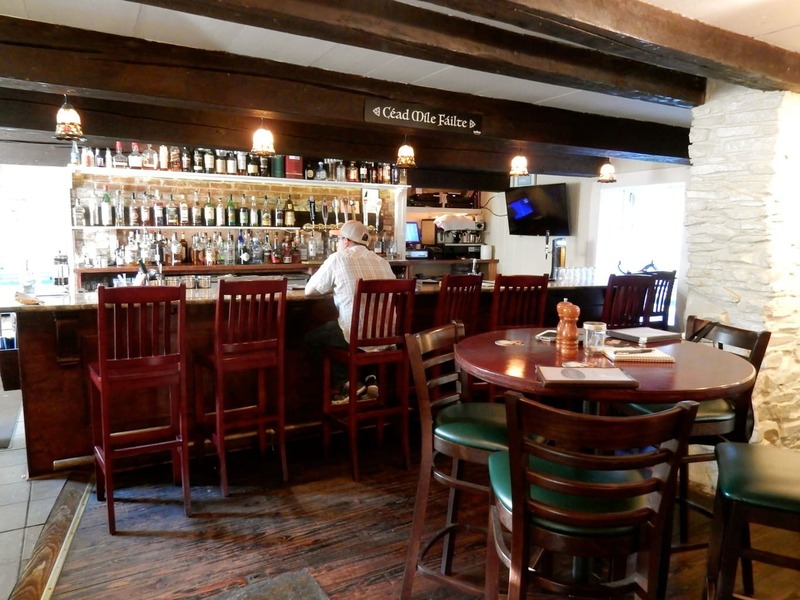 Right on the New Paltz Public Golf Course, it’s a bit removed from downtown but very worth the extra miles for its “Irish Hospitality,” a fun in season Beer Garden, and local fresh Irish-with-contemporary-twist cuisine. 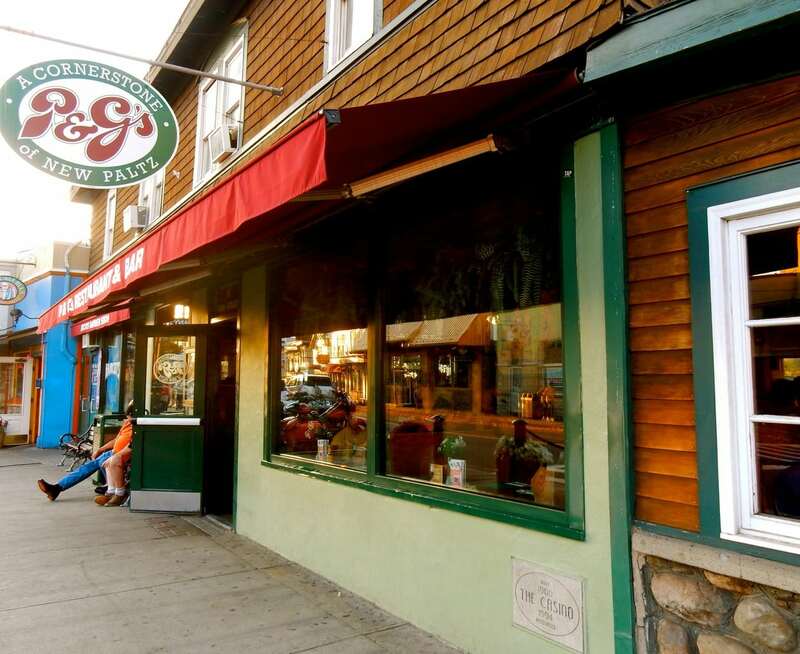 EAT: P&G’s, New Paltz. “A Cornerstone of New Paltz,” on the corner of Main and N. Front Street, P&G’s was packed on a Tues night at 5:30. This probably has less to do with the food (which is basic, and basically good), and more to do with the fact that P&G’s is a New Paltz institution and reasonably priced. First built in 1900 as a Casino (a club for eating and socializing, not gambling) that put New Paltz on the map for its Saturday night dances and ice cream socials, the establishment went through several iterations before Pat and George (P&G) purchased it in 1947. When Ed Beck bought the restaurant in 1969, his first weekend went gangbusters, the second weekend: crickets. Why? Everyone had gone to some music festival down the road in Bethel NY near Woodstock. EAT: High Falls Kitchenette, High Falls. Sister eatery to the Kitchenette in Manhattan (Amsterdam and 123rd), this comfort food spot offers home cooking with healthy twists. Yes, you can get your pickles, biscuits, soups, meatloaf ($14.50), Chicken and Waffle ($14.50), and Buttermilk Fried Chicken ($12), but you’ll also find a vegan Chickpea Burger ($11) and Wilted Brussels Sprout & Kale Caesar Salad ($14) as well. Nothing comes out of a jar: true home cooking. 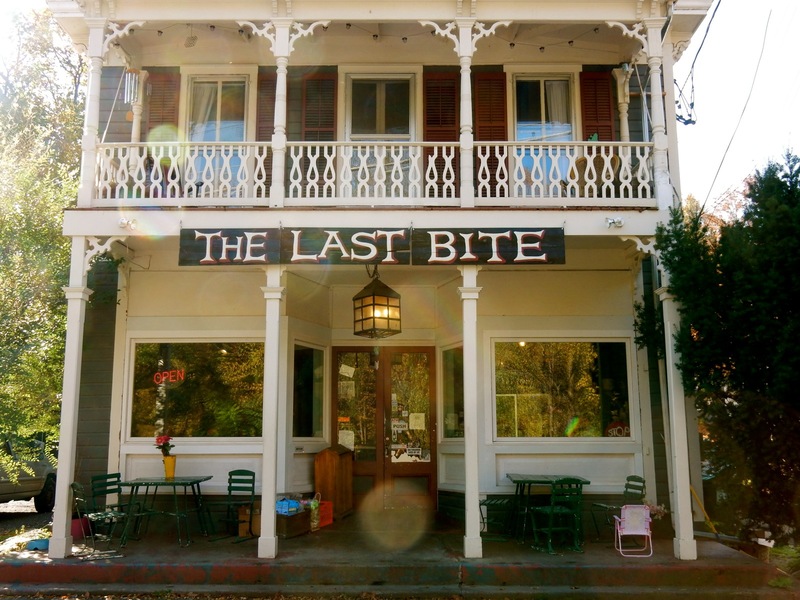 EAT: The Last Bite, High Falls. Hipster, artsy, farm-chic-ish spot for coffee and sandwiches. 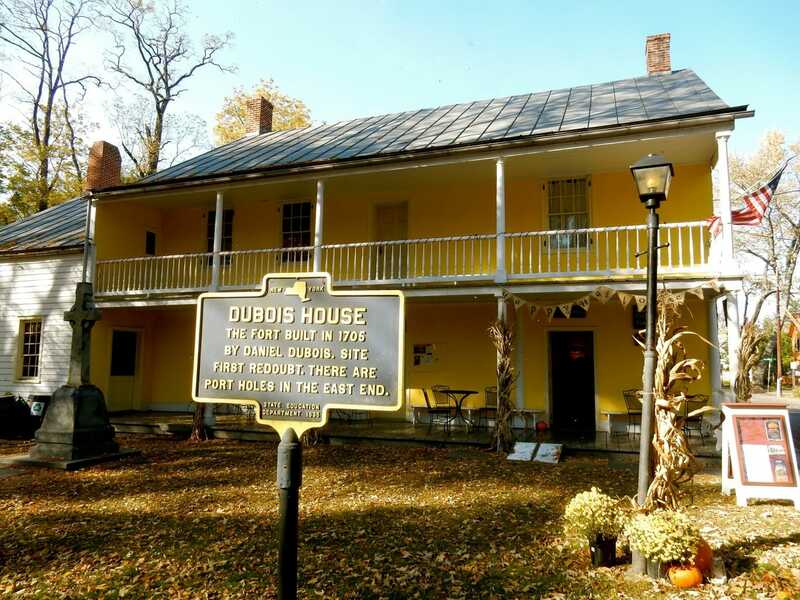 STAY: The 1850 House, Rosendale. Opened after a gut renovation in 2012, all 10 luxe rooms are eclectically furnished with modern and antique appointments. Rooms from $200-$310 per night.